Orson Gygi offers many cooking classes every month. 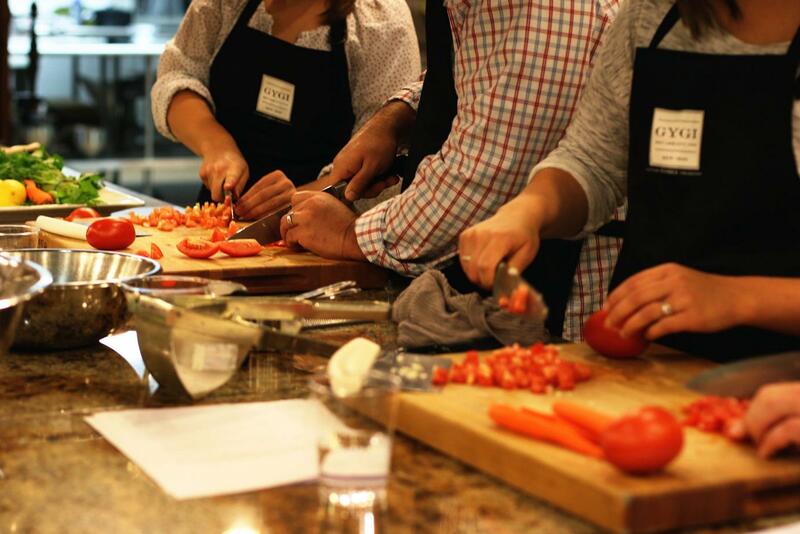 We offer classes ranging from cuisines around the world, kitchen basics, and artisan niches. 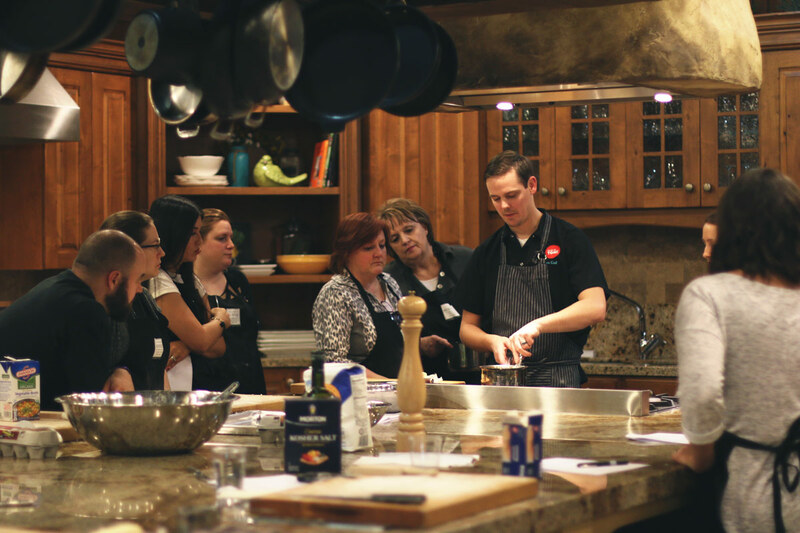 This week, however, we’d like to spotlighting a class from one of our favorite instructors, Chef Tom. 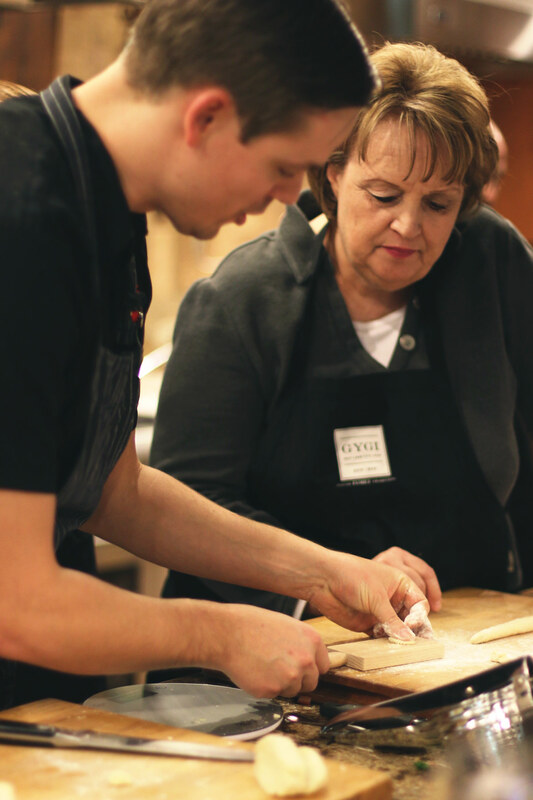 Chef Tom planned a delicious menu for his homemade pasta class. 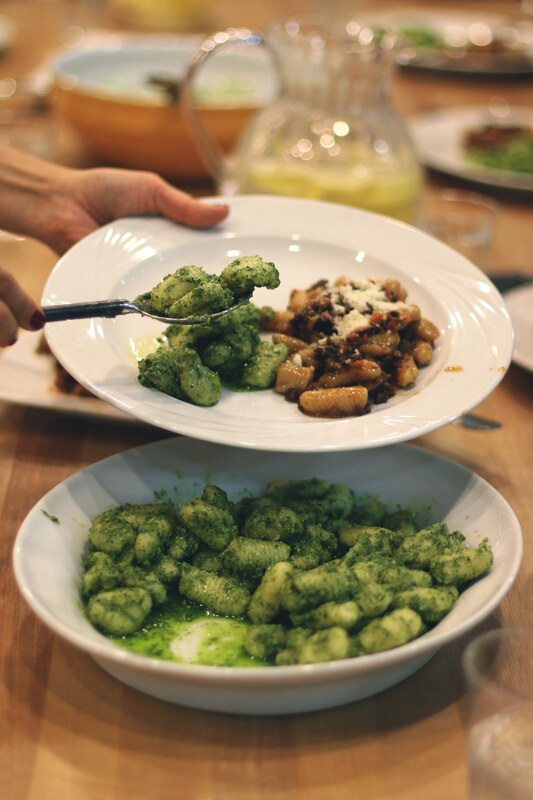 He taught his students how to make tender potato gnocchi with a parsley and sage pesto and a ricotta cavatelli with Italian sausage ragu with roasted garlic. Needless to say, it was a mouth-watering night of fun! All the students began with making their own dough, shaping their dough into noodles, and cooking them to perfection. The students then went on to make their own authentic Italian pesto and ragu. By allowing each student to actually create in a hands-on atmosphere they were able to learn, experiment, and take-away the lessons of the night. By the end of the homemade pasta class, everyone had smiles on their faces and plates full of great pasta dishes they created themselves. It turned out to be one of our favorite classes that we’ll definitely ask Chef Tom to teach again! Thank you to all the wonderful students who attended and made incredibly delicious homemade pasta dishes.